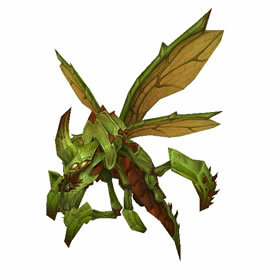 So I wanted the rare dark green color skin and found a wood wasp as a secondary pet in Gorgrond, so I could do that trick where I keep starting the fight until the secondary pet is the skin that I want. Man, I was at it for two hours or restarting the fight over and over until I was on the verge of giving up and the secondary pet finally turned turn the dark green I was able to capture! it. So hang in there if you find the wasp as a secondary. You can eventually get the dark green. Spent quite a bit of time trying to find a rare Wood Wasp as a secondary pet while also hunting for a couple others at the same time. I came here and read about the secondary color so decided to go for it the next time I saw a Wood Wasp. Got the rare color to pop on the 3rd reset. Having trouble getting anything but poors, no upgrades for me. Edit: Finally caught an uncommon in the Ruins of the First Bastion. @Zhevrakeeper Yes! It is indeed still possible to get the purple/green skin. I just caught one as a secondary near Broken Horn Village (north Gorgrond) a few minutes ago. Spent almost an hour resetting the fight! Found one in the Ruins of the Lost Bastion. There seemed to be two others here, but could not locate anywhere else. They seem to be concentrated here only. 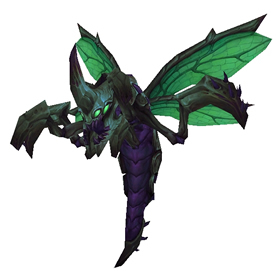 The pet data in the WoW client indicates that the ratio of regular green to green-black Wood Wasps is 99 to 1! So even if you find this pet as a secondary in battle, it may take many battle resets before the black colour shows up. 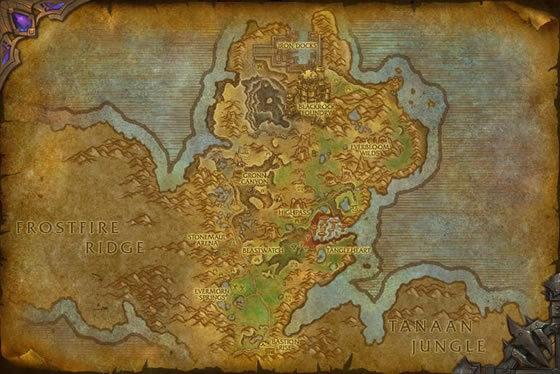 There are several other Draenor pets where the ratio of colours is 9:1 (such as the Icespine Hatchling where the icy blue is rarer than the darker blue), which makes me wonder if this extra rare one was intentional or a slip of the key by someone at Blizzard. I caught one with a different skin. It is blackish-green with a purple underbelly and dark green wings. It seems to be a very rare skin. It is the same skin used by the 'Stingtail Worker' wasps in Spires of Arak. Found a green at 48.95, 80.28 in the Ruins of the First Bastion. Wood wasps make nests in dead or hollowed out trees, and are quick to attack anything that threatens their home.